Unidentified Flying Objects (UFOs) had been both imagined and seen by humans before the 1940’s (War of the Worlds book and radio). The Atomic Energy Commission was created in 1946 (from the Manhattan Project). 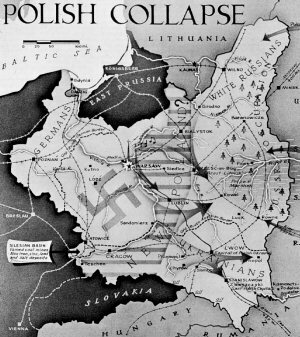 In 1947 the US Military was searching for the Horten brothers, while Stalin and Truman were beginning the Cold War. The Hortens were Nazi scientists that had been working on a flying disc shaped aircraft. When the Hortens were found, they admitted that they had contact with Russia after WW2. The information about what happens next, remains classified (even now in 2011). In 1947 a UFO crashed in the farm fields of Roswell, New Mexico. 30 miles northwest of Roswell on the Foster Farm, foreman Mac Brazel found pieces of the UFO scattered on the ground. The Military may have been recovering the bulk of the UFO and bodies at the same time from the Barnett alien site, near Socorro. After the remains were taken to the Roswell Base, they were transported to Edwards-Muroc Base, Fort Worth, and Wright-Patterson Air Force Base in Ohio. Perhaps the UFO was an alien craft. The Military first said it was a “flying disk”, then claimed it was just a weather balloon, then part of Operation Mogul (balloon rigged for spying). Major Jesse Marcel was involved with the original debris recovery. In 1978 he expressed his belief that the military had covered up the recovery of an alien spacecraft. In 1989 mortician Glenn Dennis claimed that alien autopsies were carried out at the Roswell Base. Let’s say we don’t really believe the Government, and we don’t believe in aliens. If we reject both of those theories, then there are two other popular theories that seem to be more realistic and less naive. A middle path, which in many ways is less comforting than believing in aliens. One middle theory is that it was a Russian flying disc, based on designs by Nazis working for Russia. 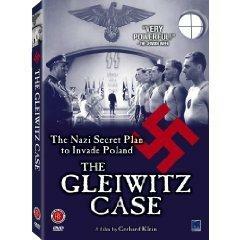 The Hortens had developed the craft, and the pilots were products of the scientist Josef Mengele. Even our own Military had Nazi scientists working for us by that time, so that is possible. The second middle theory is that it was our UFO. There is evidence that we were also conducting UFO experiments with technology and human genetics. If this is true, there may be good reason that old information remains “Top Secret”. What horrid secrets are we still keeping from ourselves? The wreckage from the UFO remained at military bases for 4 years. The Atomic Energy Commission controlled Area 51 in 1951 when they had the remains of the craft (including the child-sized pilots) brought there to Nevada. Area 51 sits inside a large government-controlled land parcel called the Nevada Training Range. The Range is over 4,600 square miles (could fit a few Rhode Islands in there). Also within the Nevada Training Range is the Nevada Test Site. In the same year that Area 51 got its name (1951) at the Test Site, 105 nuclear weapons were exploded aboveground and another 828 were exploded underground in tunnels and shafts. The last nuclear weapons test there was in 1992. The facility contains the largest amount of weapons-grade plutonium and uranium in the United States not secured inside a nuclear laboratory. 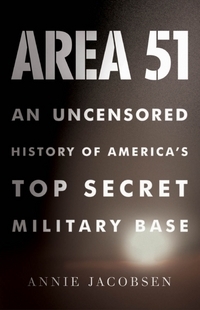 This information is based on years of individual research, The Roswell Incident (1980), UFO Crash at Roswell (1991), The Truth about the UFO Crash at Roswell (1994), and the new book by Annie Jacobsen for which she interviewed 74 individuals that had first hand experiences with the base, 32 of which lived and worked there.